The classic room is completely white in color with a wooden flooring . It has window view to the garden with beautiful palm trees which makes you feel like being in nature. The Light Room is our biggest room with French Windows on two sides that open to plants, trees and the sky. A high energy room with natural light throughout the day. 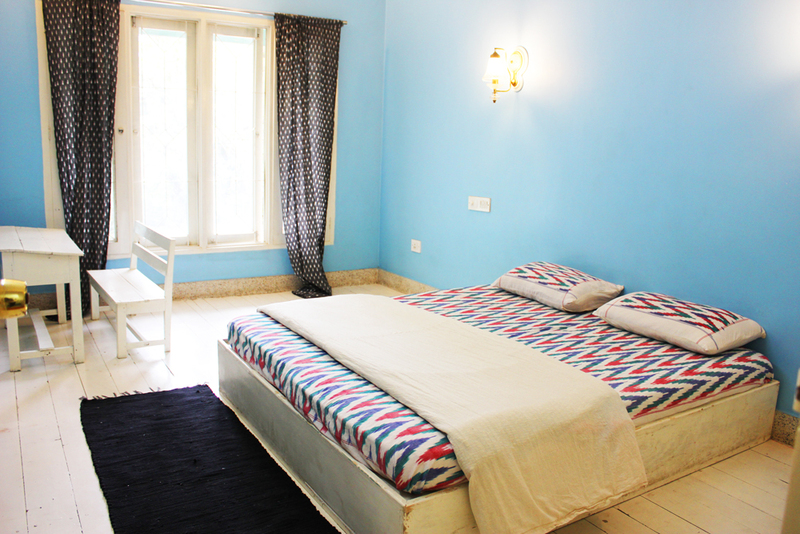 This room also has access to the roof top terrace and a view to the in-house cafe . 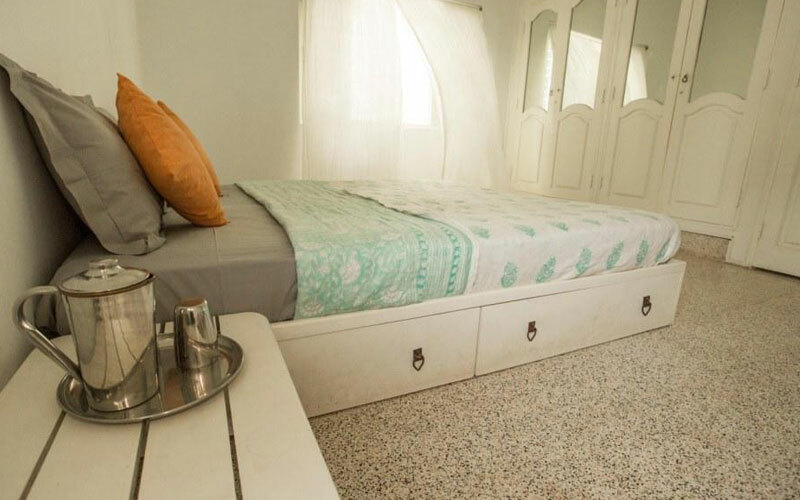 The White room in Yogisthaan,is a quaint getaway in the midst of the city,housing a Yoga studio, organic store,health cafe and place to stay. 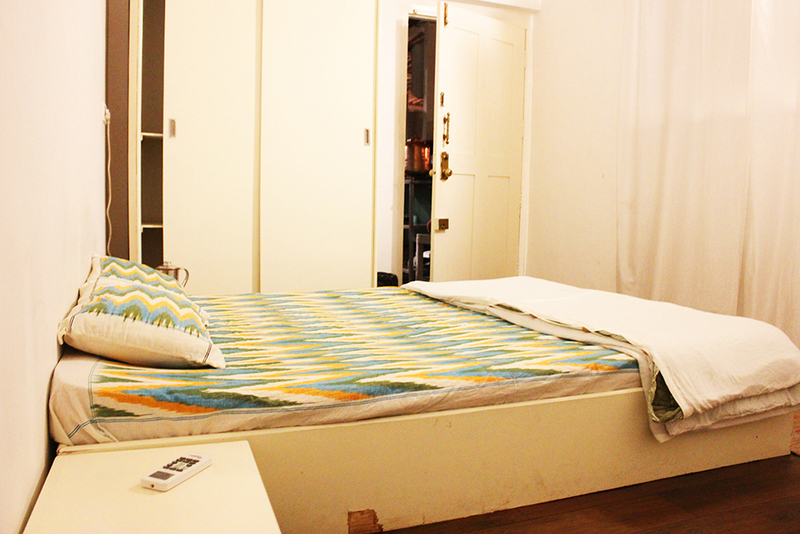 A peaceful home away from home sharing a complete pure lifestyle with our guests. Our Policy live to love. 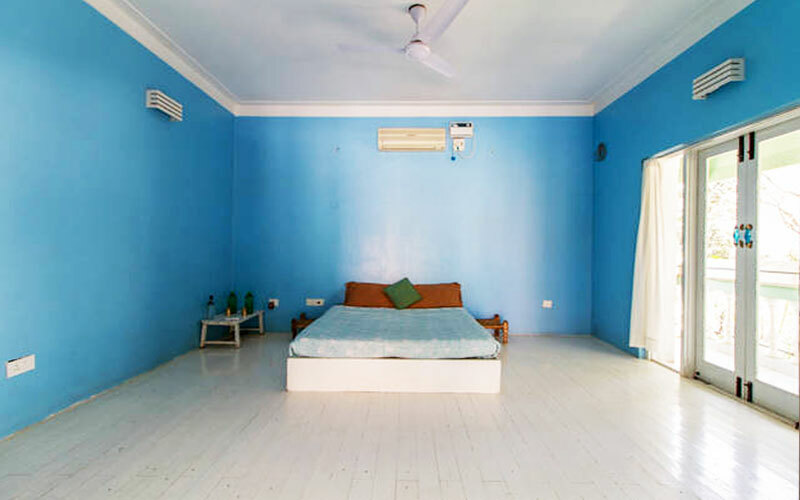 The Shanthi room is completely blue in color with white curtains . It has a open view to indoor cafe .